Designed by some of the world’s most experienced engineers, Rode Microphones are the leading electronics in their sphere. Designed to specification, Rode boasts of a variety of quality microphones. From lapel microphone, studio microphone to condenser microphone, the wide arrange of Rode collections will leave you with more desire than satisfaction. For studio microphones, there are even more to admire. You might be spoilt for choices between NT-1000, rode NT-USB, rode NT1 and rode NT1-A which are all available at competitive prices. Rode microphone stepped into this highly competitive field at a time when the available recording microphones for singers were either too expensive or of considerably low quality. With the entry of this Sydney-based giant microphone manufacturer, everything changed. 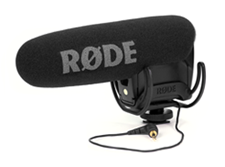 Today, Rode boasts of quality wireless microphones available for use across different spheres. What makes Rode microphones different from the rest? One might ask. Rode is all about quality and value. The continued pursuit of excellence by their highly experienced personnel has led to the production of quality products. For this Australian company, nothing aids innovation than the use of latest advanced machines. The results are so evident; an array of high-quality microphones that are guaranteed to last for life. Each Rode microphone variety is an exact replica of the other; a fete that not so many manufacturing companies have been able to achieve. For the few American and European manufacturers that understand the need for precision in designing essential components like microphones, the prices of the resultant products might scare you off. This is because most of the required technological aspects are outsourced. With Rode Microphones, the story is different. The in-house technology exhibited by this Australian mic manufacturer makes the entire difference. State of the art manufacturing plant based in Sydney has a unmatchable combination of high-end machinery necessary for the production of quality products. In one of its stunning productions, Rode recently launched HS2 Headset microphones. Its specifications would spark envy within you even if you bought a new headset of the different brand a few days back. The headset microphone is a redesign of the bestselling HS1 that took the market by a huge storm. Ideally, it is a blend of a variety of desirable specifications; specially mashed up in one gadget. A glance at the ear strips might just give you the idea of what to expect. It boasts of flexible silicone design that provides the perfect comfort needed by the user. As such, you can have it on your ears for numerous hours without feeling the slightest sign of discomfort. Another outstanding feature is the arm. In the previous model, HS1 featured an articulated arm, which wasn’t so favourable for others. The new design is a fixed arm microphone with allowance for the boom arm to be moved and shaped at freewill. Currently, the microphone is available both in pink and black colours. If you are deep into colours, the pink one might just suit you. It also comes in varying large and small sizes. With this, both children and adults can now enjoy the ever wonderful Rode sound; this time round with greater comfort. Apart from the conventionally renowned lavalier microphone, USB microphone and shure microphones, Rode also boasts of unique videomics. Professionally designed and perfectly suiting, Rode VideoMics are already raising the bar of on-camera microphones. In particular, Rode videomic pro has received overwhelming welcome by a wide range of consumers across the globe. If you need an insightful addition to your filmmaker collection, these amazing stereo microphones will do the trick. For the record, rode videomic microphones aren’t just for adding glamour and incredible effects to your fil. They also serve other wonderful applications. For instance, you can use them for band recording. It brings that unusual effect of the audience feeling guitars from one side and keyboard on the other. Undoubtedly, the experience is always amazing. If you need a difference, go the Rode way!